E-Cigs are often marketed as ‘the safer way’ to get a nicotine fix but, as many consumers have discovered, the plan to quit smoking can blow up in your face; sometimes literally – leaving a person with serious and painful injuries. E-cigarettes, often powered by volatile lithium-ion batteries, can be sensitive to extreme temperature changes. When exposed to temperatures below 50-degrees or above 100-degrees, some lithium-ion batteries can malfunction. With the high temperatures generated by e-cigs, there’s a higher risk of battery failure. 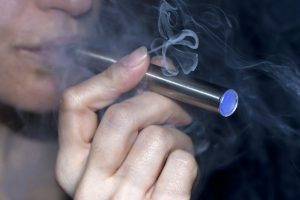 Many e-cigarettes are equipped with safe lithium-ion batteries that have passed rigorous testing and have fail-safe mechanisms to prevent dangerous explosions. However, other batteries are poorly made at a low cost. Some foreign manufacturers fraudulently stamp name-brand logos on their products in an effort to increase sales. Not only is this practice illegal in the United States, but it’s also very dangerous. Unfortunately, many of the faulty batteries used in e-cigs have been traced to false foreign manufacturers. If you or someone you know has been injured by an exploding e-cig, the manufacturers or sellers could owe you significant compensation. As leading e-cig injury lawyers, Cellino & Barnes has helped many victims obtain the best results possible. Your case could also help improve future e-cig designs and strengthen U.S. standards to ensure that the devices are safe for others. Contact an e-cig injury lawyer at Cellino & Barnes today for a free case evaluation or call (800) 888-8888 to speak with an attorney now. You can also file a complaint on the Food and Drug Administration’s Safety Reporting Portal.